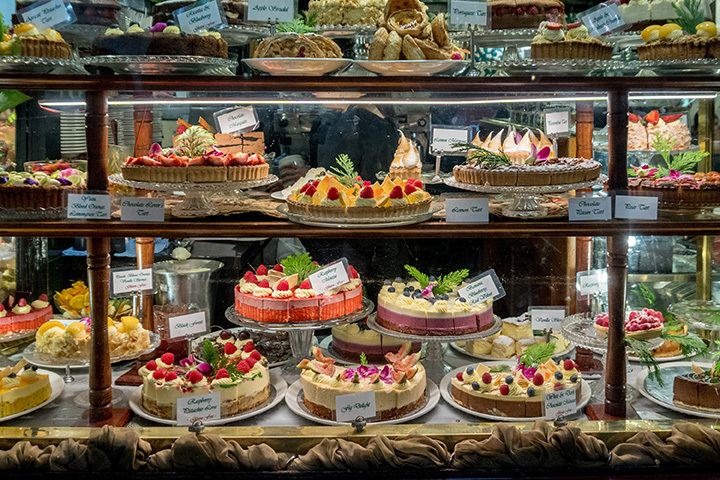 Birthdays, holidays, anniversaries, weddings, family dinners—there’s never a bad time to indulge your sweet tooth with a hearty slice of cake in Alabama. This tried-and-true dessert is one of the most versatile you’ll find, offering seemingly infinite flavor options, shapes, sizes, and colors to suit any taste. No special occasion is complete without this tasty sweet treat, and you can find the yummiest ones at these 10 best cake shops in Alabama. For cakes that look every bit as good as they taste, you’ll never go anywhere else. This is true cake art at its absolute finest, helping bring your vision to life or creating something beyond your wildest dreams. Their fans love them because of their responsiveness throughout the planning and design process as well as the high level of detail in the final product. Specializing in custom cakes for every occasion imaginable, you’ll want to make one of their cakes a go-to for all your sweet cravings. Cakes are the main attraction here, but you can also score complementary dessert items like cookies, cupcakes, cake shots, and more, each one delicious in flavor and perfect for creating a dessert spread like no other. These cakes look like they cost a fortune, but you don’t have to spend a fortune to get one for your next event. From weddings to parties and more, they’ll help you dream up the perfect cake to dazzle your guests and their appetites. The only thing that comes close to the extraordinary taste is their impeccable customer service. If you ever have a cheat day on your diet, you’ll want to spend it with Dreamcakes. They’re serving up the best in every baked good possible, from macarons to cupcakes, but their freshly baked cakes and custom cakes take center stage. If you can’t make it into their shop, look for their branded Cupcake Truck cruising around town to help you get your fix. There’s nothing little about the flair and flavor of their cakes. Their cakes range from classic beauties to over-the-top centerpieces that will have your guests talking for weeks. They take great pride in their work and their dedication to each cake masterpiece shows in every bite. Made from scratch and masterfully constructed just for you, the “cakeitects” at Cakeitecture have an eye for design. They’re committed to creating the best cakes possible, both in structure and in taste, and you’ll appreciate the fine details that make up these glorious finished projects. Hint: some of their cakes don’t look like cakes, they defy the laws of gravity and icing, yet the “cakeitects” just know how to make them work. They asked the question, and they also have the answer: Nobody. That is, nobody that tries one of their cakes, at least. They create some of the most imaginative cakes in the city for every type of shindig. Every day is made a little sweeter, and you might just put a cake or batch of cupcakes from them on your weekly grocery shopping list. Known for the best buttercream frosting around, these cakes know how to please a crowd. Their customers love them for the fresh taste and quality, beautiful designs, and flavor packed into every bite. They’re very flexible in working with customers’ schedules and budgets to help make your cake dreams a reality. Every cake and cupcake is baked with love until it reaches perfection. They offer a variety of cake styles and flavors, from kid’s characters to wedding cakes to pound cakes and more. Every project is special to them, and they commit themselves 100 percent in turning out the best cake for your event. Scrumptious, creative, and hard to stop eating, Flour Girls Bakery cakes are as tasty as they come. Daily flavors rotate regularly, but you can order ahead to get your favorite made just for you. They also offer a variety of cupcakes, cookies, and other baked treats you just won’t find anywhere else in the city.